Oklahoma Connection | Buttram came to Guthrie, Oklahoma, with her parents and attended Guthrie High School. Merle Buttram was named Oklahoma Mother of the Year in 1961, and represented the state in national competition in New York City. She was also the state chairman of Crusade for Strings, a project of the National Federation of Music Clubs. Merle Newby Buttram was born in Kansas and moved with her family to Guthrie when she was in high school. Her mother promised that if she would practice the violin before school, her siblings would do the dishes. The young musician flourished in her talent. By the time she was a junior in high school, she was traveling to Seward, Navina, and Purcell, Oklahoma, to teach music courses. She received two degrees from the University of Oklahoma and studied the violin in Italy and France before returning to OU as an assistant professor of violin (1904-1908) and professor of violin (1910-1914). As a soloist, she performed in concert tours and holiday events with the OU orchestra and glee club. She married Frank Buttram in 1914. She worked extensively with the Oklahoma City Board of Education to establish a string music program, which was fully organized in 1949. 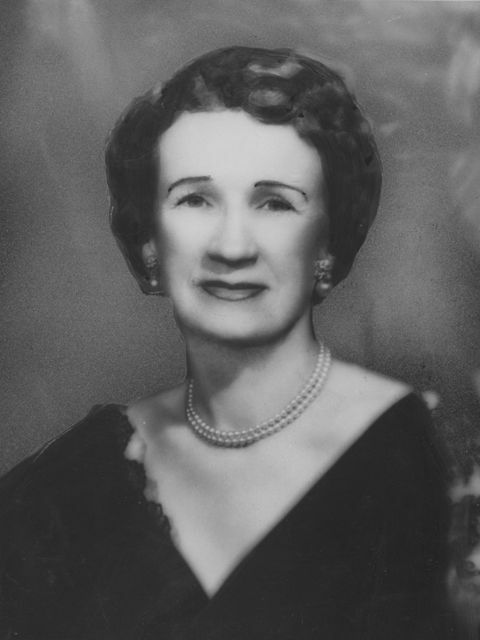 She also served as chairman of the YWCA Board and helped develop the Oklahoma City Symphony. See pictures of Merle Newby Buttram and other media HERE.